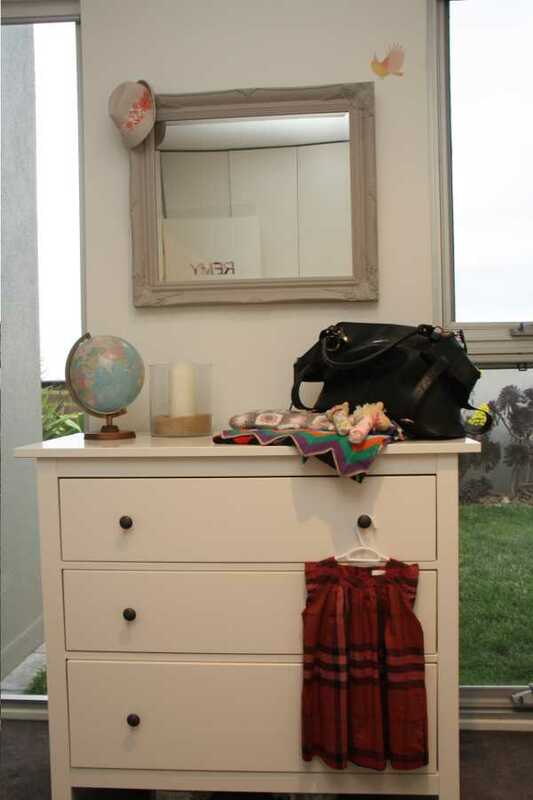 A calming oasis for a beautiful baby girl – welcome to Remy’s room. I love rooms that began evolving even before the parents knew if they were having a boy or girl, as was the case for Remy’s parents. It means that when stripped back, the nursery has the heart and soul of the parents, and eventually begins to take on the personality of the little being inhabiting it. Initially Remy’s gender was a mystery to us. Consequently we added a grey/brown feature wall which we anticipated would complement either a blue or pink dominated decor. The earthy colour also complemented the ocean view from her nursery window. The design process just grew simply from that coloured wall and the understated furniture. Lee and I wanted to create a space which would be both calming yet also inspire creativity. 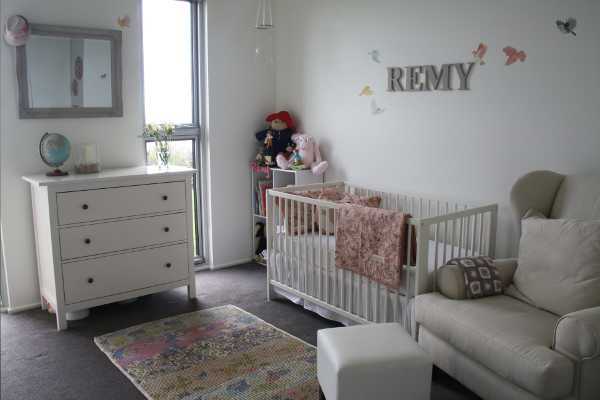 We wished to create a room in the house that both we and Remy adored and wanted to spend time. The predominantly white backdrop sets off key pieces of furniture. 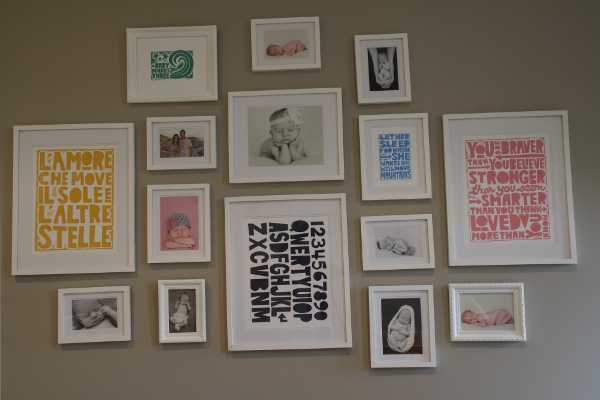 The nursery is also punctuated with special gifts from family and friends, which give the space a personal feel. A stand-out in the room is the photo wall, which currently displays photos mainly taken by Kristy Jayne Design and Photography. This wall will change as Remy does, with her parents planning to use it as an ever-changing display of their ever-changing daughter. This wall is a central force in the room, and includes a beautiful Italian poster, which translates into “love that moves the sun and other stars”. 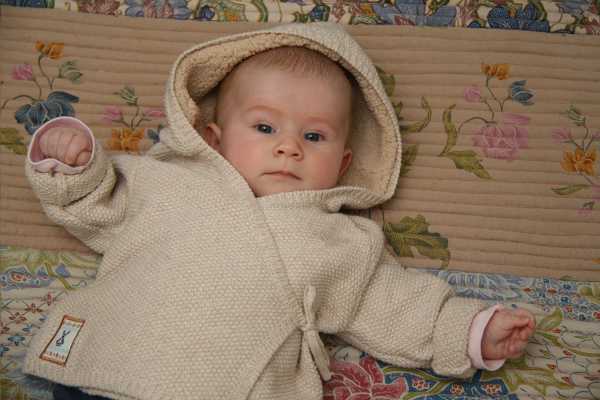 And here is beautiful five-month-old Remy, as stylish as her abode!